Coming into State Championships this year, I did a lot of testing, and a lot more thinking. Up until the very end of City Championships, I felt like I wasn’t at the commanding position to make an easy slide into Worlds that I predicted. While coming off of a win at the very end was nice, I had to face reality—my season wasn’t nearly Underground Writer material. This is sort of evident in my self-reflective “Everything I Know” article, and I definitely had a lot of regrets. I wanted to do what I could to turn my season around, and prove myself as a player. I was frustrated with my poor performances with Luxchomp in the past because it had performed so well for me in testing. There was no matchup on paper that I didn’t fear, and everything was going so well. The Dialga covered your Vileplume and Gengar Prime issues. Running the Metal energy fueled Lucario GL’s “Combo Throw” against random fighting-weak decks like Regigigas and Tyranitar. Lightning was an obvious counter to Gyarados. A Dark attacker like Weavile G was working wonders against both kinds of Gengar as well. Twins was running pretty slick in the mirror. I liked everything about it. However, I couldn’t help but feel that in an actual tournament setting, something would go wrong at the expense of my weaker experience with Luxchomp. Some complicated scenario in the SP mirror could lead to an easy misplay. Even though I was testing with better and better players at a constant pace with Luxchomp, occasionally things just felt. . . “off”. The main source of this “off”ness was that I told my friends to never let me play Luxchomp ever again. Coming off of my City Championships win, I told them that I had to play Sablock week 1 at least. Even after my constant testing with the format’s best deck, I couldn’t help but feel like I had some sort of moral obligation to fulfill in playing Sablock. Maybe it’s because it won me a Regional. Or that I couldn’t seem to win anything else without it. While I hated to admit that I used the deck as a crutch to cover my lack of experience with other decks, I really needed to snap back to reality and face the facts. Pokemon ParadijsSometimes, being self-reflective is a fantastic exercise—not only does it tell you your greatest weaknesses over the past, but also your greatest strengths. With a combined 6-8 with Luxchomp, wasting 3 of my tournaments this season, I don’t know why on earth I even tested with the thing in the first place. While it might seem like common sense to you guys that you should keep playing with a deck you do well with, I obviously hadn’t been listening. Why did I find myself needing to switch back to Luxchomp after going 4-1 with Sablock? And then why didn’t I try Sablock the week after that? These are questions I’ll never have an answer to—all I know is that they were just a few of the many factors that lead me to my meager 1687 “top 150 in North America” rating. I still had a long way to climb before a Worlds invite would even be remotely possible, and I knew the only way that I could personally make a move forward was by keeping Sablock. All the Luxchomp testing didn’t go to waste, though. A lot of the things I learned still applied back to Sablock. I still found that 3 Poké Turn was a fine number. 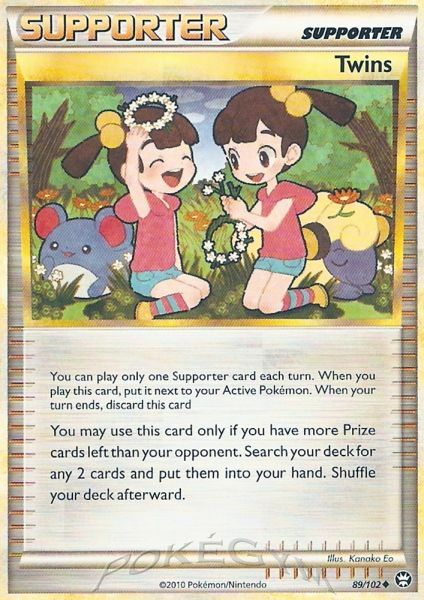 I also still found Twins to be an excellent card in the SP mirror. I also found that having extra insurance against the “tank decks” like Gigas and T-Tar was nice, and decided to cut a few corners to fit Toxicroak G in. While the 2-2 Honchkrow was really cool at Cities, I just couldn’t find the justification to fit the clunker in at such a heavy dose. 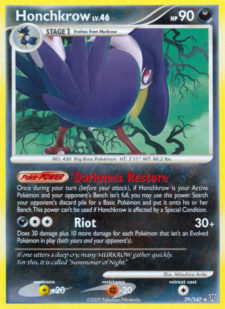 I found that 1 Honchkrow was usually all I needed to win or turn around the matchups that he works for, and having the 2-2 ran higher risk of either starting with Murkrow (not that great, and especially slow if you want to get some Sableye action in your game) or topdecking Honchkrow pieces when you’re fishing for important SP tools. I also decided that the 13th energy was a nice heavy count—letting me get that crucial turn 1 drop against the SP mirror. I kept trying to add in new, unique, and stupid concepts to the build because I found the list to be really “basic”. I kept wanting to be the “next great deck builder” and have something in my deck that left an individual touch. However, everything else I tried seemed to make the deck even worse, so I eventually settled for running a little bit boring. With Sablock, I felt that my matchups against SP were decent as always, my Vilegar and Lostgar very winnable, and my tank deck matchup very manageable with Blaziken and Toxicroak. 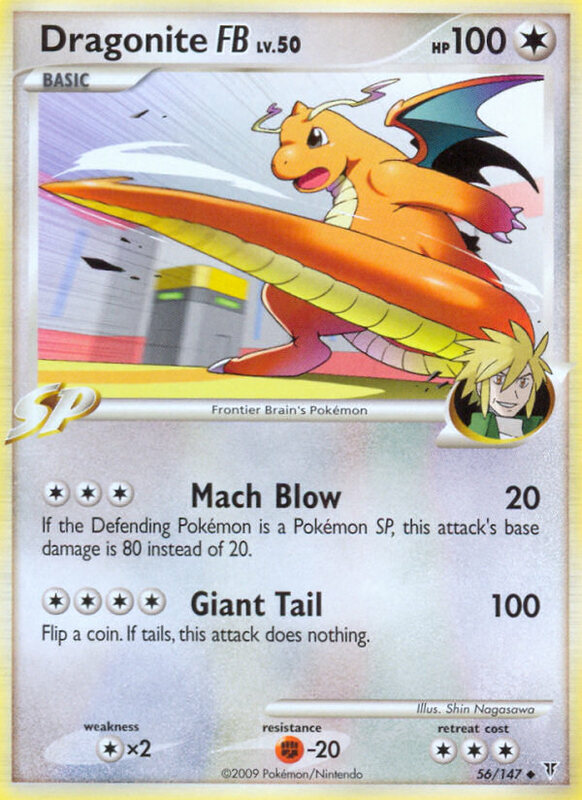 The only deck I really feared was Gyarados, which was a matchup I always felt relied on a few cheap tricks and gimmicks that would allow me to pull out ahead with a little luck. My lifetime against Gyarados with Sablock was around 50-50, but my confidence of the matchup lied more around 40-60. I decided that all the Lostgar fear would scare any potential Gyarados player away. I also took some of my time in preparation for States (I was way too excited for this thing) to look over my area’s metagame. As always, I found Illinois to be extremely diverse, with no Luxchomp winning anything. I decided that with such a wide variety of decks, SP would be the proper play. With Sablock, I found myself to have barely any positive/auto-win matchups, but almost no autolosses either. I decided that raw experience and skill would be all it took to drive me to top cut. I had a blast, and was also reminded that people who like Pokémon can still do non-Pokémon things together and still have a good time. I know it sounds lame, but sometimes just chilling the “regular, non-playtesting way” can be very therapeutic if you’ve been stressing about Pokémon for too long. Hooray, social interaction! Moving from Colin’s, I spent some time with my girlfriend at a nearby mall, which was pretty crowded with a sea of 200+ people eagerly waiting for the iPad 2. Renae already had an iPad so we kind of laughed about the hype. Then again, she won her Ipad in an arcade machine that cost her something like $6 for 3 plays, so our relative opinion on the value of the Ipad in general is a little skewed. Either way, with her having to be back home by the end of the day to cart her family around, I needed yet another ride back and a place to stay. My old U of I pal and decent Pokémon player Matt Alvis was happy to oblige, and at his place I met with both my testing partner Carver Warning and my other good friend Robby Skeffington. Because Matt and Robby are both players that “quit” the game at the end of the last season, they were both in it for a good time and meeting up with old friends. Their chill attitudes kept me completely unstressed for the next day, and we spent our time watching the Bulls dominate, playing Smash Bros, and debating the existence of the movie “Surf Ninjas” (which, by the way, DOES exist!). I was very set on going to bed by 11 for a great night of sleep, but stayed awake to watch a few last minute games between Carver (Vilegar) and Robbie (Regigigas). After hearing that Robbie won something like 3 straight, I had to see what Gigas was all about again. I played a couple of matches and found how strong cards like Twins and Black Belt are when you can purposely fall behind in prizes, and I also reaffirmed my belief that power lock is still extremely good in the format. I lost at least half of my games and began to question how effective testing with Regigigas in the future would be. Bedtime ended up being around 2-3 AM. Combined with snoring friends, and the only room masking the sound of snores being a room full of birds that WOULDN’T SHUT UP, I really struggled in getting a good night’s sleep—one of my 2 essential steps to having a good day of Pokémon. Luckily, the second step went into motion after we picked up Jason “Ness” and Alex “Chuck” and headed to Panera. We learned about gun licenses, exchanged several laughs, and I was able to eat a copious amount of bread products and orange juice. Despite having zero sleep, I felt pretty good. The venue for the event was enormous, leaving lots of elbow room at each table—a very strong asset for an event that could take the entire day. 82 masters ended up showing up for the day, leaving us with 7 rounds of swiss and a top 16 cut. This left most 5-2s with a good shot for top cutting, leaving me pretty comfortable with my chances. A brief walk around each deck left me with a few conclusions on the metagame—a bit of everything, with a heavier Lostgar and Regigias than I expected. This was both good and bad news, but I was keeping my fingers crossed that Toxicroak would help me get through the day against any Gigas that I’d encounter. I know some of you guys are probably at around the SHUT THE HECK UP WHY START THE REPORT 2000 WORDS IN? phase, and I don’t blame you whatsoever. Let’s start a tournament report! Quinn Downs is the son of Rob Downs, one of my absolute favorite players and my mentor to getting into competitive play. Quinn normally follows the footsteps of his father in playing unique/rogue concepts, but shocked me by taking Sablock to the top 64 of last year’s Nationals. We always make the joke that we’ve never been able to play a very exciting tournament game—I think I’ve donked him something like 3-4 times altogether now, and this game became nothing different. He opens with a Garchomp and a Blaziken, and I open Sableye and get a single heads on Initiative to drop his only Cyrus. He of course topdecks another Cyrus and starts to set things up. I see no reason to jump into attacking when I still have plenty of search in my own hand to set up behind him, so I attempt a second Initiative to hit a crucial double heads, dropping his cyrus and his SP Radar to the bottom and leaving him almost nothing to work with. 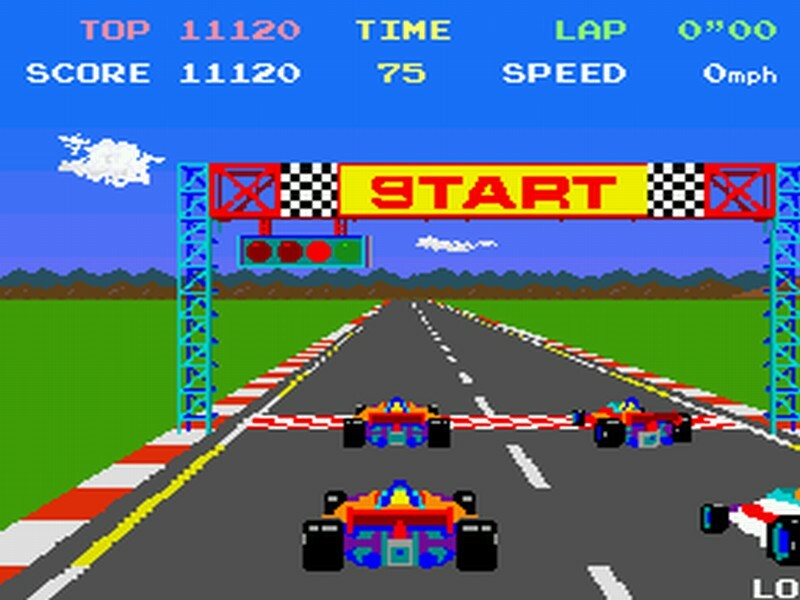 He draw passes a few turns, which is just enough time for me to pull too far ahead for him to catch up. While the game wasn’t very exciting, I was able to learn that he ran THREE Crobat G in his deck—I hadn’t ran that many since Regionals and ONLY Regionals last year. Either way, a win’s a win, and starting the day with a win was a pretty good feeling. Pokemon ParadijsI lent Adam a Gyarados before the tournament even began, so I knew what he was playing already and wasn’t looking forward to it. 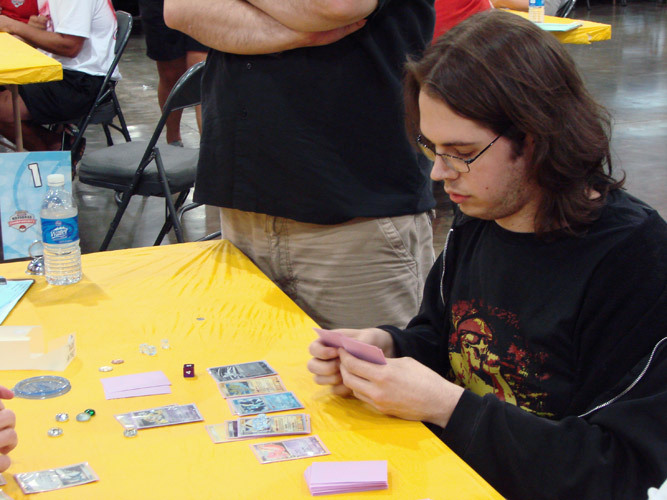 Adam was one of 2 players at my original league that actually played competitively, so I do owe him for giving me a decent opponent to learn the game with when I was first getting back into things. The game goes underway Sableye to Sableye, and he sets up with Sableye as usual, and I Judge as usual (my usual strategy to setup before Gyarados does). To my horror, I find my second Judge prized, and am forced to try to set up any counter offensive I can and fast. I decide to opt for the “Power Spray his Regice and Luring Flame it” strategy, which would have worked perfectly had he not topdecked the Warp Energy on his next turn. Rats! Luckily, I have Garchomp up ready to take a few prizes between healing while he can only hit me for 90. Or so I thought, until he topdecked the Expert Belt, too! Double Rats! There was a third card he drew on his next turn that was also a crucial topdeck, but the first two were all he needed to take a commanding lead before I could get anything going. I took 2-3 prizes total, but things just didn’t go in my way enough for it to be a close one as usual. After this match, I was really starting to worry about playing Sablock the way I did, and I started to miss Luxchomp again. While I did learn to play with Adam at league, this is just his second year in Masters, and I didn’t really see him as an upper level player with the deck. If just slightly good players can pick up Gyarados and beat me, then we have a problem. Roman is a local player and Pokédad with the most powerful Austrian accent I’ve ever heard. He’s a nice guy, and we ended up talking about dogs before the game began. I was relatively at ease when starting with Blaziken, Garchomp, and Sableye, because I was confident in the matchup against a much lesser skilled player. I was able to get the turn 1 Initiative to steal the Cyrus out of his hand, and he drew pretty badly the rest of the game for me to win 6-0. If I could give you guys a strategy tip here I would, but sometimes you just rob your opponent’s hand and that’s the end. Steve had a really impressive Cities run this year in Illinois—a good 50-60 points better than my own. He’s been playing a pretty traditional Vilegar all the way through and I still have yet to beat him—making me kind of nervous to drop down to 1-2 from the start and have a repeat of last year’s State Championships. I decide to stop overthinking things—after all, the two people I test with both main with Vilegar, and the matchup is very winnable with enough skill and luck. He opens double Gastly to my Sableye (I think), and I’m able to take 2 quick prizes with a Special Dark—one on Gastly and another on a Spiritomb after Darkness Gracing a Haunter. 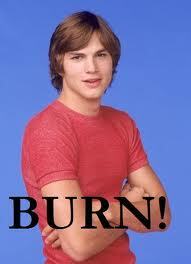 He then opted to set up the trainerlock with Vileplume, and I Luring Flamed it on my turn. My first option was leveling up into Blaziken FB Lv.X and taking the Jet Shoot KO (Blaziken FB already had a Fire and Energy Gain on him, so it would allow me to put energy somewhere else). 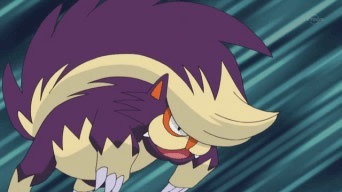 Pokemon ParadijsMy second option would be to leave Vileplume active and snipe the Haunter with Garchomp C Lv.X, which I felt would be by far the most effective way to take a huge lead that he wouldn’t have time to return. I also had the option of grabbing an Uxie Level X with a Bebe’s Search to drop my Trainer count in hand to 0 and give myself some built-in draw. In the end, it turns out I had no choice—I looked at my prizes and found both Garchomp C Lv.X and Blaziken FB Lv.X prized! I was pretty embarrassed for this mistake—I’m usually really good at figuring out what’s prized, but I guess this would be a time where my lack of sleep caught up with me and I made a small slip-up. It wasn’t terrible, because it allowed me to still grab a KO with no response, but sniping the Haunter would have probably sealed the game for me. I whiff either Level X from my prizes, and on his turn he evolves to Gengar Prime, and drops Lost World! Seeing this instantly comforted me in knowing that I could take my 6 prizes in time because he wouldn’t be taking any now. He throws 1 Pokémon into the Lost World, and within 2 turns I’m able to wreck his board for another 6-0 game with Honchkrow. 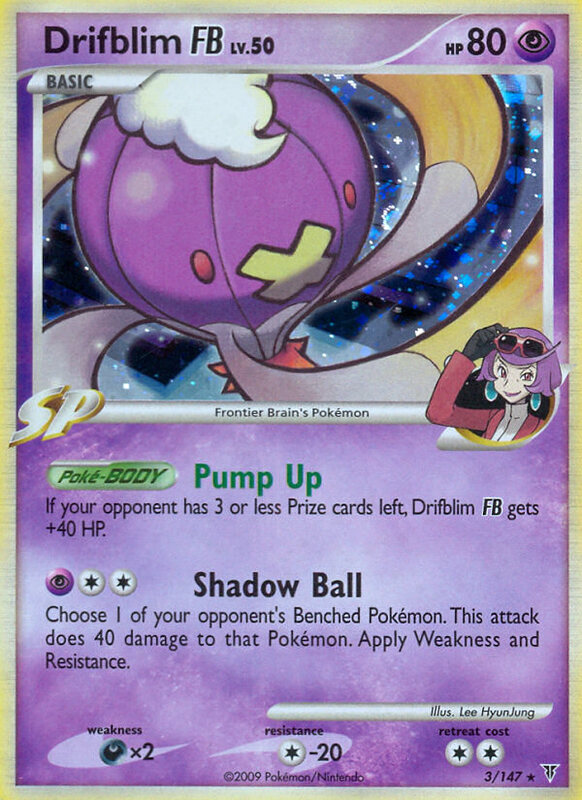 This is my one problem with Vilegar—you need to have a couple different things for your setup to be fast and efficient: Spiritomb, other basics, Unown Q to retreat, evolutions + Broken Time-Space if you want to get Vileplume out in one turn, etc. While the trainer lock is usually enough to offset this, things like Sableye SF can still take prizes and get you in the lead enough to comfortably take the game. This was a player I’d never met before, playing a deck I’d never seen before, so I wasn’t sure if I should be nervous or if it’d be an easy game. We introduce ourselves and he talks about how he had just been getting back into the game and used to be a pretty good player himself. I can’t remember his name so I can’t really back his words up or deny them, but regardless we played a pretty terrible game. He opens with Uxie active and Unown Q on the bench, goes first, attaches to Uxie, and retreats it to put Unown Q exposed active. I use my Collector to grab two Garchomps and a Sableye (I heard a tip from a friend that he was running some kind of disruption), and I attach a DCE to Claw Swipe a KO on the Q. On his turn he benches Eggsecute and Scyther and I immediately am happy for my choice of Sableye. He gets tails on two Super Scoop Ups and passes. On my turn I decide to KO the Scyther, and on his he gets Exeggutor out and uses Psychic Strategy to give me a 1 card hand and himself a hand of 5. I use Sableye to set back up, and he can’t really get anything going from here. I’m able to keep sniping most things before he sets them up, and when he finally gets the Scizor out on the last turn, I level up to Blaziken FB Lv.X and Jet Shoot for the game. Only needing 1 win in my next 2 games, I’m feeling pretty confident about my day so far, but can’t help but think I’m getting too many easy matchups/players. Round 6 pits me up against my friend Matt Alvis to change that—he’s possibly the only Illinois player I haven’t ever beaten. 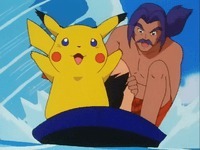 To top it all off, he’s playing Gyarados. Gross. I start Sableye and a few other SP Pokémon and opt to use my Impersonate to set up rather than disrupt—I had nothing to work with. Because I was lucky enough to get my 3rd SP Pokémon, I’m able to grab a Power Spray with Cyrus, along with a Collector and an energy. On his turn I learn that he’s running a trainer-heavy Gyarados extremely similar to the “everdos” list that Kettler posted on his first States article. 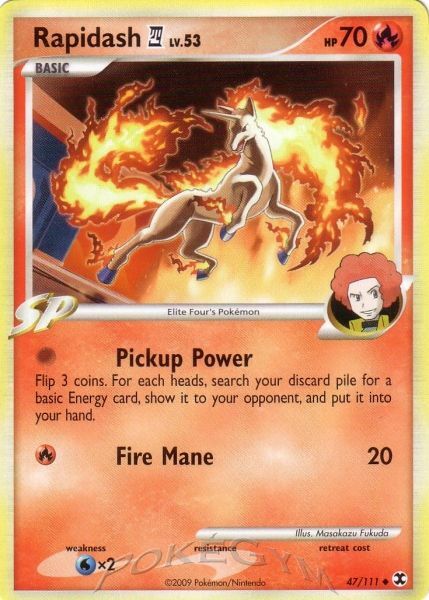 He burns through Pokédex, Poké Drawer, Junk Arms to repeat the two, Super Scoop Ups on Uxie, and even Unown Rs to draw though 4/5 of his deck on the first turn in Uxie donk style. I can tell his build is much better than Adam’s before it, but I luck out a little. He’s unable to hit any of his 4 BTS, and after I Power Spray “Regi Move” he passes. I can’t for the life of me remember what he left active, but it left me able to take a prize with Sableye after setting up with Uxie and getting ready to bring out my bigger attackers. On his turn he tries to Regi Move and is once again stopped by a Power Spray, forcing him to play a Cynthia’s Feelings to set up. He hits not one, but 3 BTS to get out Gyarados, and can only hit my Sableye for 30 damage with Tail Revenge due to one Karp he was able to discard with Junk Arm. On my go, I set up my favorite form of disruption on Gyarados—Luring Flame to the Regice. Knowing that at least 2/3 of the cards in his hand are now extra Broken Time-Space, I’m pretty confident he has no Warp Energy. To my happiness he draw-passes, and I’m able to snipe around Regice with Garchomp C Lv.X while keeping him stuck active. The long story short is, he burned out all of his resources through Junk Arms early on—and even after hitting his one Warp Point to move Regice once, a third Power Spray coupled with another Luring Flame were enough for me to be ahead a good 3-4 prizes when time was called. I’m glad to win against both Gyarados and Matt Alvis, and I move on to a comfortable 5-1. I haven’t beaten Jason in a couple of years, and the beginning of this game pointed to me escaping with a lucky win. I’m able to set up a quick Honchkrow SV, which tears through 3 Pokémon and 2 tails on Fainting Spell right away. At some point I know I had 4 prizes taken to his 1, and felt pretty confident in escaping with the game. I still haven’t hit a single Double Colorless to fuel Garchomp, and now that he has a Gloom out, I decide to Luring Flame it to force him to burn an energy or let me KO a problem Pokémon. He flips tails on burn, and tries to use Unown Q, which I Power Spray. Cool. Then he plays Pokémon Collector to grab a SECOND UNOWN Q—not cool! What a gamble of a play! I have no Spray for the second one, and Gloom escapes and becomes Vileplume. From here, my hand is loaded with Supporters and Trainers that I can’t get rid of, so I attempt to Judge myself into 2 or less Supporters. Instead, I draw something like 3-4. I can’t remember exactly what happened over the course of the end, but things ended up with me taking 5 prizes, and him slowly tying things up with back-to-back Poltergeists for heavy damage. I’m desperately trying to hit my first Double Colorless and Garchomp C Lv.X in any way that I can but with no luck during this time. While I’m sure I could have played conservatively with time to win before Jason could come back, I decided to be a man and play my turns out at a fair pace. In the end, I had a Garchomp C with 3 energies left, and all I needed was Garchomp C Lv.X for the game. 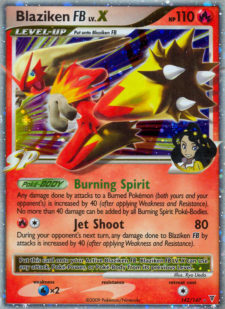 I burn any cards that I can and use Uxie’s “Set Up” for 5 cards, where I finally draw 3 Double Colorless Energy, but no Garchomp, and he grabs a Shadow Room prize for the game. 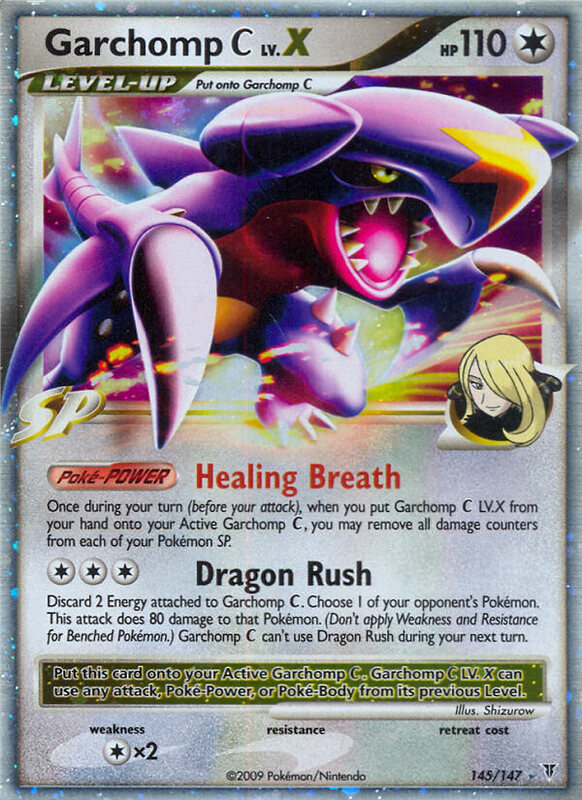 I flip over the next card on the top of my deck for the heck of it—Garchomp CX! So literally one card away from sealing the game, I come into top cut at 5-2. 5-2 is an okay rating to be at going in to top cut, but I’m a little nervous. Losing my first game puts me down to 5-3 on the day, which would make for a terrible boost to my lower-than-wanted rating. I decide to stay calm and play to the best of my ability—I also eat a copious amount of concession stand food when we’re offered a 30 minute break before top cut. I find out that I’m going to be up against my friend Carver with Vilegar—after just losing to Jason’s Vilegar, I’ll admit I was a little worried. It seems like he’s in control of this game with an early Shadow Room knockout or two, but I’m able to bounce right back in it with a Twins that allows me to Dragon Rush his Gloom before becoming a Vileplume. I know that he only runs a 1-1-1 line of Vileplume, and getting rid of it early on will prevent me from losing a game I’d normally ride very easily through (see game 7). I’m able to use Trainers the entire game, constantly Dragon Rushing to take at least 5 of my prizes in around 30 minutes. Once again, he whiffs on the Vileplume this game and I’m able to take off, but he uses Looker’s Investigation on me 4 times throughout the game, denying me completely of having any kind of pre-planned strategy. Some of them I draw well off of, but others I draw terribly, and it’s the terrible draws that allow him to come back into the game. We keep exchanging prizes until time is called, where he is just one turn ahead of me on the exchange to win on time. I feel like I had a definite shot in a full 6 prize game there, but he was a great sport and never slow played to earn his win. Pokemon ParadijsI start Sableye and a god hand, go for the Initiative, and get double tails. 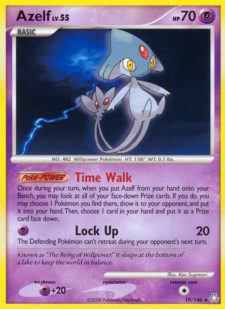 Frustrated, I pound my fist down—if he’s able to get Azelf LA and use Lock Up (a move that he’s used countless times before), he’ll be able to trap my Sableye active for the first prize and the game. To my dismay, he starts Pokémon Collector for Uxie and Azelf, drains his hand, and does a Set Up for 5. It was now his turn for a streak of bad luck—no Psychic Energy! He passes with a Crobat G active and I take my turn very carefully, grabbing 2 Pokémon SP and Unown Q with my Collector, attaching to Garchomp C a Double Colorless, and retreating to put Garchomp C active. Knowing that I probably have the game in hand, he does a Looker’s on me in desperation. I’m given the gift of energy and Bebe’s Search, giving me the Dragon Rush for the game. Never have I played a more nail-biting sudden death! Had one thing gone differently, I could have very easily been going home extremely tilted about my 5-3 day. Instead, I got a little luck, and moved on to top 8. So while I found Quinn to be less of a threat in my mind because of his random plays like 1 Weavile G, 3 Crobat G, and Honchkrow G—I found out that I was his only loss in Swiss! He was able to win out to a strong 7-1 for the day, and I definitely underestimated him. Quinn might have had the most beautiful hand known to SP mankind. He had something like 3 Doubles, Cyrus, Collectors, the full show. The only way I could see myself coming back early on was Twins, and even that was prized. I scooped early on after he took 4 prizes to my zilch. This game, he starts with a lone Garchomp C and I opt to go second. I know I have the donk if I can hit either a Claw Swipe + 2 Crobat drops, or an Earthquake with a Double and a Gain. I drop one Crobat Flash Bite, attach Energy Gain, and take my chances with a Set Up for five. I hit the Double Colorless to Earthquake, and we move to game 3 with a good 50 minutes to spare. Pokemon ParadijsMy start wasn’t great here, but neither was his, and dropping 1 Cyrus from his hand with Initiative seemed to be enough to stir him up. I had no other real options than to go for early knockouts with Blaziken FB X, but after he wasn’t able to combat me, I realized his issue—he couldn’t hit a single energy for the life of him. Running 13 energy myself to combat this problem, I could imagine his 3 Crobat G and other techs list to run as little as 10-11. After a setup for 5 and still hitting no energy, he concedes and I’m moving to top 4! I don’t know my top cut opponent, but I’m able to watch the rest of his game against Rob Downs with Regigigas. From what I can tell, Austin Z is playing Sablock with Honchkrow G and Toxicroak G in it, and Rob is getting rolled. He ends up getting knocked out by Austin, and I gear up for my 2nd Sablock mirror in a row. This is any Pokémon player’s dream: starting my Unown Q to an opposing Sableye. Toss in a Special Dark Energy and an Overconfident and we’re on to game 2! I start with a decent setup to his Sableye. After one turn of him hitting a single heads to drop my Collector, but I still have a Cyrus to start setting up Garchomps. I forget exactly how my hand dropped so low, but I think after benching a few Pokémon, attaching the one energy I had with Cyrus, and using SP Radar to fetch one of my Garchomp C to set up a Power Spray for the next turn, my hand size was down to 3. On his turn, he fails to set up any real attacker, and I Power Spray his Uxie for at least 4-5, leaving me with just Cyrus and a Poké Turn. He goes for the Initiative again, and this time hits me with the double heads and drops my full hand down to nothing. I make a joke with my judge that I would settle for nothing less than an Uxie for my topdeck, and then proceed to Yu-Gi-Oh! Heart-of-the-Cards style draw my Uxie. Completely lucky, but I decide to take what I can get and I setup for 7. I draw absolutely nuts off this Uxie, drop my hand down, setup with a second Uxie for 5 more cards, and start taking Garchomp control. There isn’t much to say that was exciting about this match afterwards, just your traditional “one SP player has a better board than other” scenario, and I’m able to take the game in about 30 minutes. We both start pretty even, but I start with Twins in my hand and am pretty confident in letting him think that he has a better field than me to draw out his Garchomp first. Him running the 2-2 Garchomp line would leave me able to remain with an advantage if the exchanges remained even, and I was counting on this to take me to a drawn out victory. He gets an early KO on my benched Chomp with his Chomp C Lv.X, and I’m able to level up, use my Twins to grab two Double Colorless Energy, and Flash Bite + Earthquake to take out his Garchomp C Lv.X. He drops a Dragonite FB and I cross my fingers hoping that he doesn’t have the Double Colorless. He doesn’t, which leaves me fairly confident that I can take off for the victory. I Dragon Rush his benched Garchomp C to clear his Garchomp threat temporarily, and accept the knockout from Dragonite FB. I then take my knockout with Garchomp C while setting up a Honchkrow SV, and see myself as sweeping the rest of the game soon. PokeGymHe had one surprise left for me though! 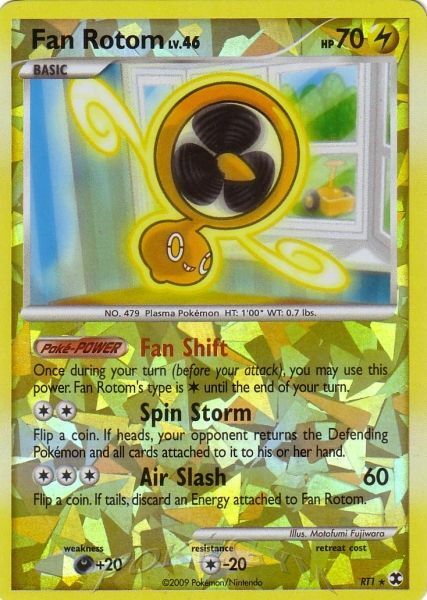 Fan Rotom. He was able to drop a Double Colorless Energy, Galactic Switch to his Rotom, use Rotom’s Power to turn Colorless, and hit me for 60 x 2 damage for the knockout. While I don’t know if Rotom is the world’s best Garchomp counter, the Colorless resistance combined with the Lightning typing for a possible Gyarados counter at least made it an interesting play that made me scratch my head for a moment. While the Rotom was surprising, his Dark weakness meant that I was able to power dominate him with Honchkrow SV—hitting for a good 170 damage with Riot. Honchkrow allows me to truck through my last 2-3 prizes for the game, and I’m moving on to top 2! After playing multiple SP games in a row, I’m really beginning to love how easy it is to set up a Twins with Sableye to stay ahead in the Garchomp race, and I’m definitely no longer regretting my decision. Top 2 is against Kyle S a.k.a. Pooka, and he’s 10-0 undefeated with Dialgachomp at this point. It’s starting to get pretty late, and it turns out both me and Pooka are running on about 2 hours of sleep, so any small misplay could be all it takes to end my run for the day. I don’t know much about his current list other than that he runs Drifblim FB and Stadiums. He makes a comment that he hasn’t been testing since City Championships, but I make the joke that there was nothing for him to test that’d change anything. I’m ready for a pretty chillax match, but I’m still ready to play my best to walk away with $300 on the day and a round 1 bye at Nats. He opens up pretty weak to my Sableye and SP Pokémon setup, and I’m able to drop his only Supporter with Initiative very quickly. To my surprise, he draw-passes for the next 3 turns, and I take a prize each turn he whiffs! I’m feeling pretty confident that I’m going to take the game, until he drops Snowpoint Temple and Chatot MD, and uses Mimic to draw a good 9-10 cards. I’m entirely untested against Snowpoint Temple, so I’m kind of cautious as to how I should proceed. I decide that since I see a prize on the board that I’ll take it, and I Dragon Rush his Chatot MD with a new 80 HP for my prize to go up 4-0. From here, I start whiffing on everything I need, and he mounts a mega comeback with his 140 HP Drifblim FB. I made a huge misplay in my setup by having 4 non-SP Pokémon on my bench, meaning that they’re all easy Drifblim targets. 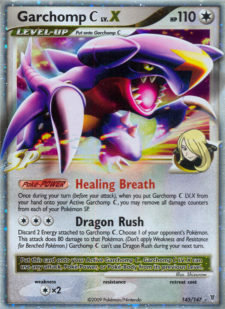 It also means I was unable to drop Power Sprays all game, which really sucked when he would use Warp Energy + Healing Breath with his 2-2 Garchomp C Lv.X line. From this point on, he walls with Drifblim while setting up big damage to almost knock out several Pokémon on my bench, including Sableye, Azelf, and Uxie. In the meantime, I’m working with my one Garchomp and struggling to get enough energy on him to get another snipe off. Had I replayed this game, I would have put more focus on my Honchkrow SV and Riot at the end of this game—it would have easily eaten through Drifblim and saved me so many prizes lost due to the Drifblim wall. He also helped mount his huge comeback with 3 Twins in a row—once played, once with VS Seeker, and once Junk Arm for VS Seeker. I’m able to eventually take my 5th prize, but after he takes 3 prizes at once by changing Snowpoint to Pokémon Contest Hall, and then by knocking out my Garchomp, I have no way to respond. He takes a good 50+ minute game, and we’re on to game 2. After shuffling, I realize that we’re going to have about 7-8 minutes for me to take 4 prizes—not very likely. He gets the turn 1 Deafen with Dialga G, and while I spend a couple turns trying to set something quick up, I know with 3 minutes left and no prizes taken that it just isn’t going to happen. I correctly concede to the now completely undefeated Pooka, and accept my humble place in 2nd at 8-3. I accept my prizes and wrap things up to drive home, and it’s pretty sad that Pokémon wasn’t even able to get the medals to States in time after all the flak they got for making the switch in the first place. Those medals better make Flava Flav’s clock jealous by the time I get mine! – 2 Lostgar made top cut, but both lost in the top 16 right away. As we all know, top cut can be a definite problem for Lostgar players, especially less experienced ones. – While Gyarados was swarming the top tables early on, not a single one made its way to top cut outside of Yoshi’s Mewdos. Considering my area had no Luxchomp at all, this surprised me, and left me hopeful that Gyarados wouldn’t be a very prominent selection for next week. – As usual, my area has zero Luxchomp success. I can’t determine if it’s bad Luxchomp players, a bad metagame for Luxchomp players, or players who all decide to not run Luxchomp, but it’s probably a combination of the 3. I learned a lot from this first State Championship. I learned that for the most part my game was pretty strong, and I only had a little bit more refining to do. 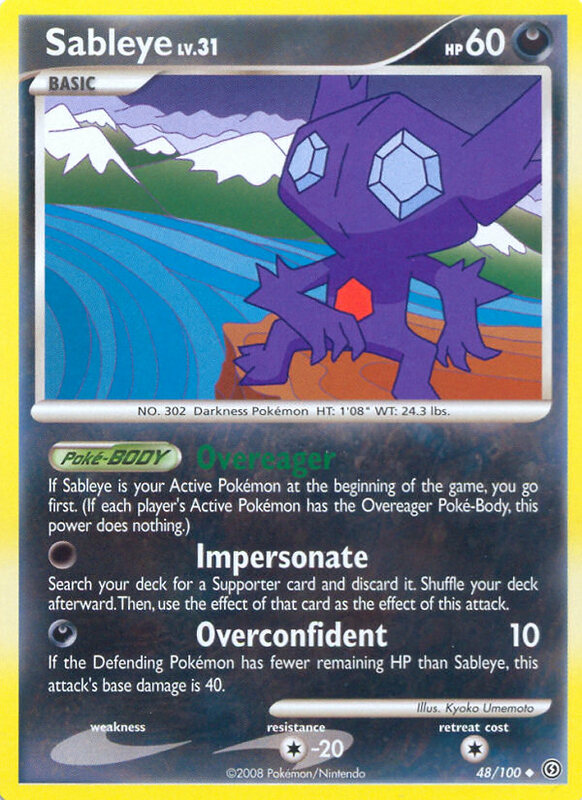 I was still in love with the Sableye setup, and felt completely confident in my decision for which supporter to grab with impersonate at any given time. I was also extremely pleased with my time tracking this time around—bringing a watch gave me a whole new level of awareness for how close to time my games were getting. My rating would end up jumping to 1757, putting me at around 55th in North America—and definitely at a much better spot for paving a way to worlds. But while I was excited for a lot of things, a lot of stuff bothered me too. As you can see in my tournament history, I’ve never been able to take Sablock to a better swiss rating than X-2. These 2 swiss losses were ones that I wanted to avoid. Looking back on how each game changed my rating, my points took a huge hit from my loss in swiss to Gyarados. I dropped a full 21 points from that one loss! I didn’t want to lose out to a random player with a matchup that I just couldn’t handle. I wanted a deck that could handle every matchup, INCLUDING Gyarados. All the hype about a Machamp taking Ohio also began to circulate in my area, and I began to worry about Machamp SF, too. Luxchomp took care of Gyarados pretty well, and the inclusion of Lucario GL allowed for the ability to deal with Machamp via Uxie X, too. So once again, despite going very well with Sablock at Illinois States and NEVER doing well with Luxchomp before, I began to debate Luxchomp once again. You probably read my post on Chris Fulop’s week 1 States report—and once again I was met with a sea of people telling me to stick with Sablock. So Sablock it was. I did a quick rundown over some of the cards that I had room to move around. After having a conversation with Pooka about his Dialgachomp list, I found that he only runs 12 energy. This seemed pretty low for a deck that was so needy of energy, so I decided that I could definitely afford to drop one of my energies to make room for something new. 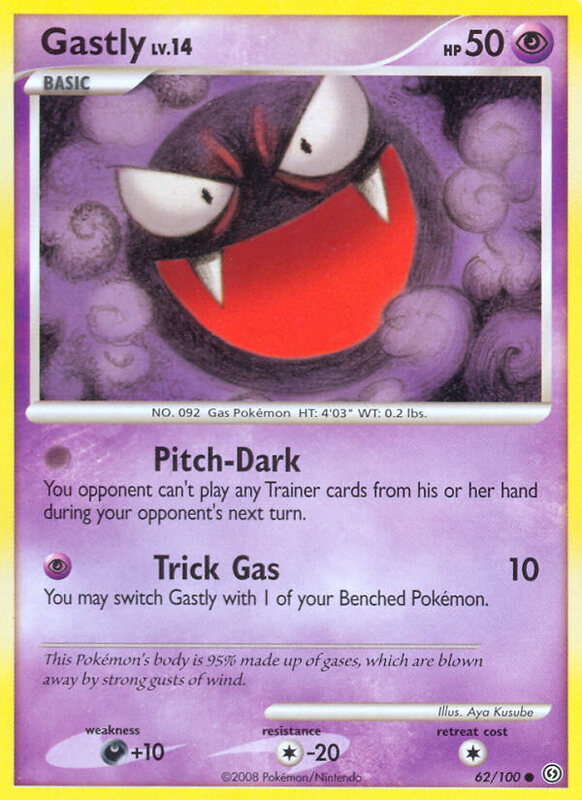 In line with this, I realized that I never used Toxicroak G once in all of my 11 games, so it and the Psychic energy were pretty cut-able cards. I also decided that if needed I could move out one of my Special Darks—3 was plenty for the two Pokémon that actually used it. 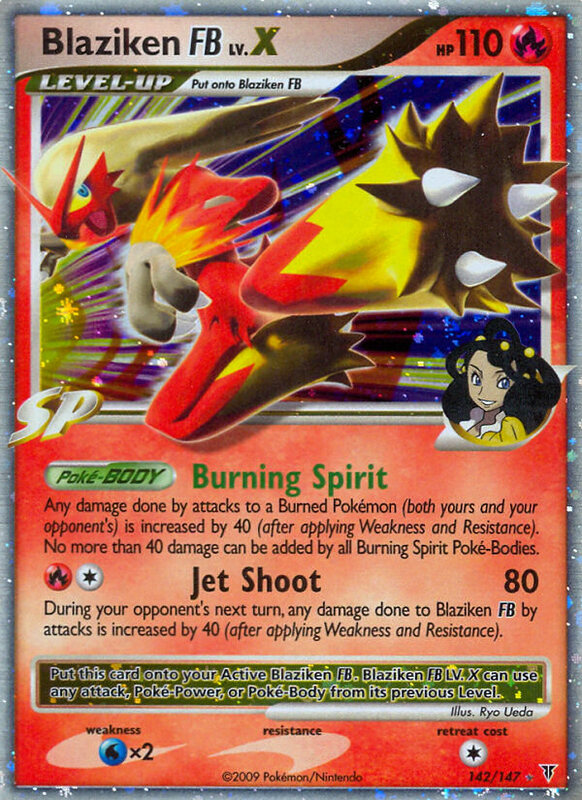 I also debated cutting the Blaziken FB Lv.X to make room for some other helpful energy like Warps, which would help me consecutively Dragon Rush with Garchomp and avoid other random trapping attacks like Magnezone X, Chatot MD, Azelf LA, and Roserade GL. Blaziken was a strong play against Steelix, Scizor, and in theory Dialga, but I found that the Dialga players I played would go for the Garchomp game and not even touch Dialga for the entire game. Despite me predicting a huge surge of Dialga in Wisconsin after Pooka’s win, I just couldn’t see Blaziken turning these games around for me, which was unsettling. 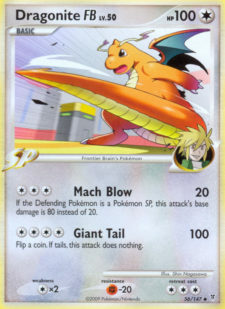 I also definitely wanted a Dragonite FB in the deck to prepare for what would bound to be a huge spike in SP in my area. Other cards I debated fitting right away were Junk Arm, VS Seeker, a second Premier Ball, and possibly the second Honchkrow back in to deal with random bad matchups. Pokemon ParadijsWith States around 3-ish days away, I started penciling in possible switches. I decided I wanted at least one Warp Energy no matter what, and swapped it for a Dark. I also took the Toxicroak G out for Dragonite FB, and had the Psychic energy as an extra floating space for a while. I tried out the VS Seeker for a bit, but never found it to really “wow” me. I even considered fitting Drifblim FB in, but wrote it off as an uneducated choice because I had never tested with it before in my life. Then, all of a sudden, it dawned on me. I COULD play Luxchomp. . . MY way. My brother had been playing Sablock with Luxray X in it since Nationals of last year. . . a deck he likes to call Loxchomp. I wrote it off during Cities because I didn’t think you could fit Honchkrow and Luxray and Sablock in the same deck comfortably, but after realizing I had all of this extra space, I thought it’d be pretty possible to pull it all off. All I had to add was a 2-1 Luxray and a Lucario GL to the mix and viola! Instant Loxchomp! A simple four cards to cut, but fitting that 5th one was the choice that made me scratch my head the most. I considered dropping my energy count to as low as 11, cutting a Judge, or cutting a Bebe. Because I felt the Judge only helped me in some matchups more than others, but the Bebe was universally helpful, I opted to cut the single Judge in the end. In the end, I really REALLY liked the final product. There isn’t much I’d change at this point, and for you brave souls who want to tackle a strange and complicated deck like this one, the rest of the changes are up to you. One particular advantage I found with this list was that I ran 2 more SP basics than before, which would allow me to take full advantage of my 3 Power Sprays. The Luxrays offer an easy access to cheap prizes, and can also be a great gateway into an early Garchomp advantage by Bright Looking a benched Garchomp and KO-ing it. I didn’t get as much testing with the list as I would have ideally desired, but I had a good gut feeling that it was going to be a good day. The day before the event, my cousins and my friends all amassed into one basement that functioned as a “home base” for people to stay at on Friday and Saturday. To counter my biggest preparation weakness—my lack of sleep—I opted to take a bed in my room over the basement floor, which ended up helping me collect a total of 5 hours of sleep instead of the usual 2! I still felt like crap in the morning, but I definitely didn’t crash as early as I did at Illinois. Me and my girlfriend Renae drive down and follow the cousin/friend car, and we arrive fairly quickly. She’s staffing for the first time, so she’s fairly excited to have something to do instead of stitching or trying to make trades in between rounds. BulbapediaThe venue at the hotel was very nice, with one problem—not to much room. Things got very hot very quickly, and by the middle rounds I’ll admit that I was starting to stink through my deodorant. Nobody besides my girlfriend said anything, so either the people around me kindly ignored it, or we all stunk and had just come to accept that everybody was just as sweaty as the next person. Gross atmosphere aside, things were extremely chill. I bought myself a Mountain Dew and some Donuts to wake up, and I felt good to go from the start. Wisconsin took Illinois from me, and it was time for Illinois to take Wisconsin! Rich is sporting a rather dashing Umbreon hat, and he introduces himself as a league leader of the area. I know absolutely nothing about both the area and the players in the Wisconsin area, so I have a hard time gauging his skill level from the beginning. We shuffle up and deal and begin, and he reveals to me a lone Gastly to my Sableye start. Unfortunately, I did not have nor topdeck the Darkness energy, and was forced to try and disrupt with Initiative. The single heads was all I needed to pluck the Bebe out of his hand and see a Lost World to know how to orient my strategy. Unfortunately for him, all he was able to do was bench a Mew Prime and end his turn, which led to me taking 2 fast prizes with Sableye for the game. 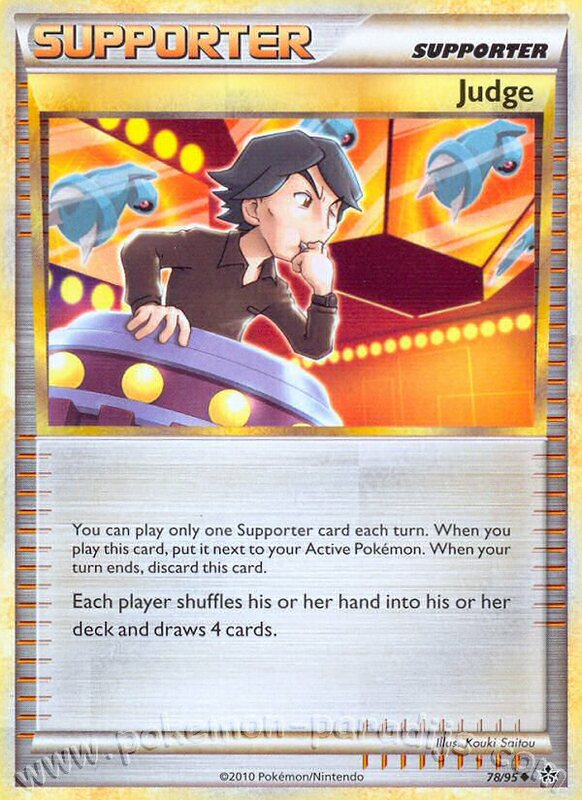 I looked through his deck afterwards to see why things set up so clunkily for him, and I found the main culprit right away: no Pokémon Collector. It was weird to me, because everything else about his build seemed completely sound and logical—it was just missing 3-4 copies of the most important search card in the format right now. I made this suggestion to him and he accepted it right away. This is another local Wisconsin player whose name I didn’t know. He sported a Tediursa figure looking out from the back of his hood, and he also had a very fancy deck box and damage counters. I expected a very challenging game until he flipped over 2 Weedles as his start, and I let out a sigh of relief. Long story short, Sableye took 2 prizes and then Honchkrow dominated by dealing 150+ damage for the next 4. He had the exact opposite problem as his last opponent. 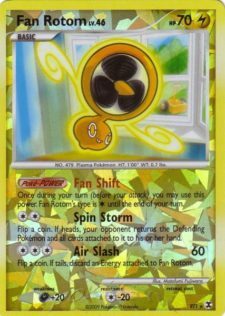 His engine was all there (Pokémon Collector, Uxie, Bebe, etc), but his deck was one that was simply uncompetitive (Beedrill/Shaymin Land/Tangrowth). He seemed fairly upset after losing—I hope that the rest of his games didn’t spoil his day. I love to see new players jump into the game, but State Championships can be a pretty brutal environment for a new competitive player to enter. David introduces himself and is extremely friendly, talking about how he just got into the game 4 months ago and that my YouTube show helped him understand the new metagame very quickly. He also sported some sick Veritas Aequitas tattoos—being a fan of the first Boondocks Saints movie we exchanged some banter about that. The game goes underway and it’s my Sableye looking down his active Gastly and benched Uxie. I’m sure benching the Uxie sucked, but for a newer player he made the smart play. I attached Special Dark to Sableye and used Overconfident to go up in prizes. He seems to be a little short on resources, and uses Collector to grab 2 Gastly and an Uxie. He uses Psychic Restore to end his turn, and I’m able to grab another quick prize there as well. 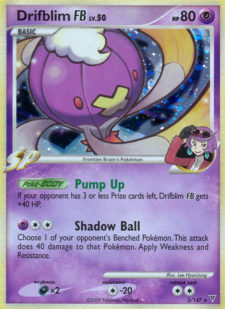 I can’t remember how things progressed from there, but the long story short is he got a Gengar Prime out and used Triumphant Spiritomb’s “Spooky Whirlpool” to erase my amazing 0 Pokémon hand and force me to draw into my Honchkrow SV, giving him a very easy choice as to what he wanted to get rid of. I’m able to 2-shot his gengar Prime with Luxray GL’s Trash Bolt twice, and he sets up a new one while also benching Palkia G. Unfortunately for me, I can’t stop drawing Pokémon and I have nowhere to put them! I settle for hitting cheap prizes with Garchomp and Luxray, and am able to get up enough in prizes where his only strong option for adding to the lost zone (using Palkia G Lv.X) would mean a game ending prize with Luxray GL X. For the first time I’m glad I have Luxray in a deck! He ends up throwing 5 in the lost zone, but not before I take 6 prizes to go 3-0. After this is lunch break, and I feel pretty good so far. 3-0 is a great way to start the day, even if it is against weaker players. However, the fact that I played 3 no-name newer/unown players would mean that 1) I wouldn’t grab many rating points from wins, and 2) I might let my guard down for a better player in my first “hard” game. Sure enough, coming up to the matchup sheet after break, I find not just A “hard” game, but “THE” hard game. It’s rematch time with Pooka! BulbapediaI start with Sableye but opt to use him to set up over disruption, and he gets a decent set up as well. I aim to fix all of the mistakes that I made last game by taking any prizes I could before Snowpoint shows up, saving Honchkrow for Drifblim, and benching 3 or more SP Pokémon to have access to Power Spray. I can’t remember the exact layout of how things set up, but I think I’m able to grab early access to Twins and set up a field of Colorless attackers. Bright Look with Luxray and Earthquake his unpowered Garchomps while he’s forced to Mimic 2 times in a row. On the third turn he starts bringing up a heavily powered Dialga G, levels up, and Belts to hit for 100 each turn. One thing that really perplexed me was that in either of our top cut games, Pooka never played down a Crobat G to use Flash Bite. 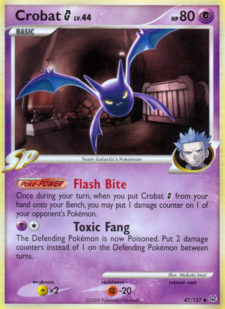 I felt like at least twice during this game he was just 10 damage off from a key knockout, but Crobat was never played. Maybe he feared bench space, maybe he feared Power Spray, or maybe it was prized. 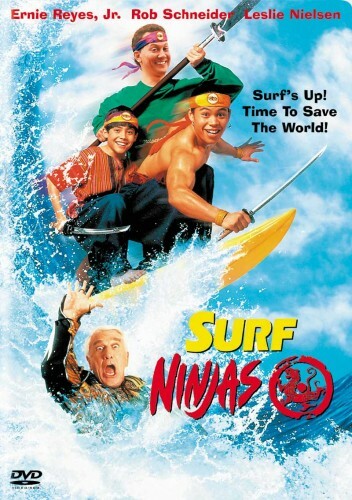 All I know is, I never saw it, and was very happy I didn’t. Here’s where I began to make my best play of the game. I knew that the 100 damage Dialga would be huge trouble with the Belt, and at 140 + 2 Special Metals + Snowpoint Temple coming at any time even Honchkrow would no longer be a viable option. 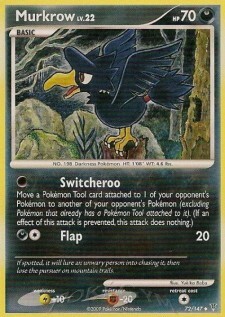 PokeGymSo I decide to bring up Murkrow SV and use my deck’s greatest unexpected attack: Switcheroo. I move his Expert Belt from Dialga to Mesprit, knowing that because he plays no Seeker, I’ll have a 90 HP two-prize Pokémon waiting for me on the bench. Pooka reacts exactly how I want him to, fearing the Honchkrow, and he Poké Turns his Dialga G to bring up a Garchomp to attack with, setting himself back around 2-3 energy drops. I actually didn’t have the Honchkrow ready for action that next turn, so I send up Dragonite FB and Mach Blow his Garchomp, and he busts out Drifblim FB. Unfortunately, while I have 2 prizes left, a Crobat G, and a Poké Turn in hand for the Dragon Rush KO on azelf, I know for a fact that he has 2 Power Sprays in hand. I decide that because time is winding down to play a Judge and cut off his access to Twins/Energy, and hope that I hit one of my many Cyrus or tools still in the deck. I end up getting Cyrus, Poké Turn, and Warp Energy—perfect. I Dragon Rush a Pokémon for the guaranteed prize and have 1 left. Then, I kind of see an error in my ways. I could have potentially won the game right there by playing Cyrus’s Initiative in my hand to drop one of his Power Sprays, and then I would have the guaranteed Dragon Rush + Flash Bite for two prizes. Granted, I still could have flipped double tails, but it wasn’t a very smart move for me to go straight into the Judge without at least considering it. The other thing I could have done was Dragon Rush his azelf. While I wouldn’t take a prize right there, I’d be able to score an easy KO on Azelf the next turn, even if he decided to drop a Snowpoint Temple. By taking the prize on an Uxie or something of that nature, I found that the rest of his field had 90 HP or more. The smartest play would have been to hit the Azelf, and if he doesn’t have the double Spray the next turn, double Crobat takes the game. So despite making a few misplays near the end, and him taking his 5th prize with Drifblim, I’m able to double Flash Bite (he Power Sprays once) his Uxie X and Dragon Rush for the final KO. I should have taken the double prize on Azelf to make the joke that I took 7 prizes, but I was so nervous by the end of the game that I took the first prize I saw. My game was a little rusty, but the Switcheroo play made me feel like a pro at the end of the day. Winning against Pooka was a huge boost to my ego—I was now 4-0 for the day, everybody around was talking about me, and I was sure that my rating would take a comfortable jump. Luxray ended up being crucial in our matchup, both by being able to absorb Dialga GX’s hits and letting me take quick prizes off the bench, and I felt very confident about my deck across the rest of the day. Coming off of my win with Pooka, I felt invincible, and knowing the player I was matched up against for once left me pretty confident for another win. I didn’t know what Clifford was playing, but I did know that he played the game more for fun than competitively. I got downpaired this round, but 3-1 is still a decent start, so I stayed prepared. He opens Scyther and Skarmory and I immediately miss the Blaziken in my deck. I decide that if I can deal with 1-2 Scizors early on and disrupt his setup, I should be able to take this one. I start with Sableye and using Initiative to drop his only Supporter. He topdecks Azelf and uses Time Walk to grab an Uxie from his prizes and build his hand up again, wasting my efforts. I retreat and level up my Luxray GL to Bright Look his Scyther and hit for 60 damage, and after he retreats and levels up, I use Galactic Switch and Poké Turn to set up a new Luxray and use Trash Bolt to deal the 40 damage needed to KO his 3 special energy Scizor. He tries to drop his hand and use Uxie LA’s Set Up for 7 cards to get back into the game, but I Power Spray and take off from there. He tries to set up a Metagross LA, but it’s just an inferior card and can’t deal any reasonable damage before I’m able to take 6 prizes. So far I feel like aside from Pooka I’ve been lucking out by dodging almost all SP and metagame decks, but round 6 evens things out by pairing me against a Luxchomp + Blaziken FB. We both get pretty decent setups, me with Sableye and him with Call energy. He opts to use Roserade GL’s Poison Bind to lock my Sableye in place, but I actually like this scenario because it allows me to use 2 Supporters a turn combined with Sableye, along with allowing me to grab Twins off of a Cyrus to use immediately. My Sableye gets knocked out coming into his turn and he takes a second knockout with Garchomp, but from here I go crazy with my 3 Garchomp + Dragonite field, and I use my Twins to stock up on all the Doubles I’ll need for the rest of the game. He’s able to take a few prizes in return during my rampage, but I eventually tilt the lead in my favor and am able to dragon rush/mach blow my way to victory. So I finally break the X-2 swiss limit that Sablock had previously limited me to, and I move forward for an attempt to leave Swiss undefeated! From observing Tyson’s last game against my friend Carver, I observe that he runs a total of FOUR Power Spray along with Snowpoint Temple—two things I make sure to look out for in my game. The setup for him is fairly slow—he starts by dropping Dialga G, energy and Energy Gain, Snowpoint Temple, and Deafen. 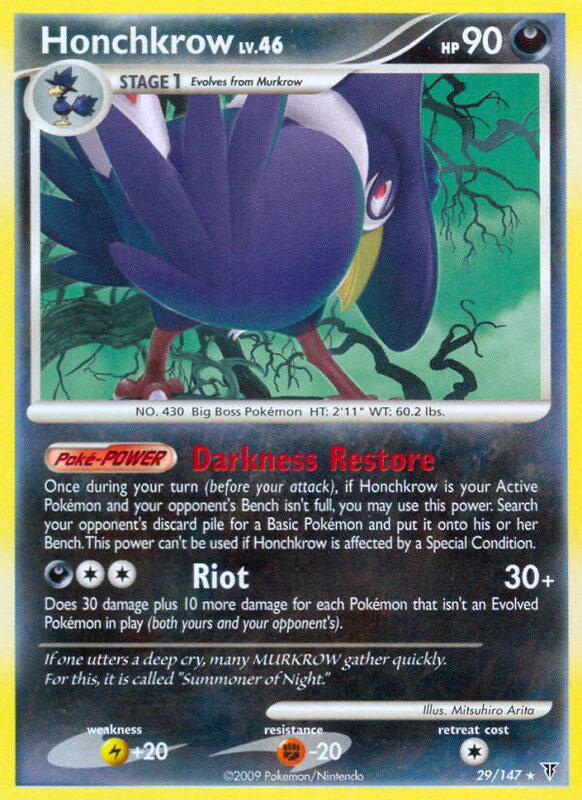 I decide to Collector for a Sableye, Murkrow, and Garchomp to set up a Honchkrow SV on the bench with 3 Special Dark. Once Honchkrow is ready I bring him up and one shot his Dialga GX with Riot, hitting for a total of 160-170 damage to KO through Special Metals and Snowpoint all at once. He struggles to get anything else set up and I take a few more prizes with Honchkrow. Because of his constant Deafens and both of our relatively slow setups, time for this game came up relatively quickly. He was able to take a few Dragon Rush snipes while I grabbed a few cheap prizes with Luxray GL X to stay ahead in prizes. Time was called with both of us at only 3 prizes—on turn 1 I took my 4th, and he responded to take his 4th with Toxicroak G. I level up to Uxie X and am able to drop a setup for 5 in an attempt to hit one of my last 4 energy in around a 14 card deck. I hit one on the fifth card before getting to try Trade Off, and I Zen Blade with Uxie X on his Toxicroak G for the time-winning knockout. At this point I’m clearly running the hottest I ever have in a tournament, everybody’s asking me about my deck, and I’m feeling pretty darn good. I’m moving on to top cut, along with my friend Carver who got in at 5-2, and my brother with the same deck at 5-2, coming back from an early record of 1-2. 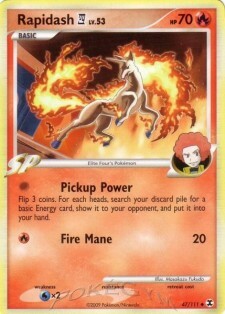 1 Uxie Donk with Rapidash? I’m happy enough to go 7-0 and I’m fine with a loss at any time, but I’m ready to play my best and attempt to go undefeated for the win! I find that I’m paired up against the organizer Troy Lesky’s son Mike, and it’s off to another exciting game of Pokémon! I’ve seen Mike around at countless tournaments before, but we’ve never been paired in a match before. He’s an extremely cool dude, and I’m glad to be playing pretty chill player to start off top cut. 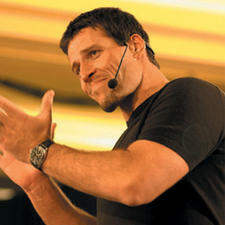 I don’t know anything about his list, so I just decide to play the SP game as I always do and rely on my gut instinct. 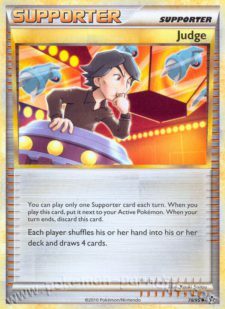 Because Mike posted a report on both Heytrainer and the Pokégym, I actually figured I’d just use his report information here instead. He was actually really attentive to detail, and did an even better job than I usually do in recapping events, so here’s how my top 16 games went from another player’s perspective! Pokemon ParadijsI actually have a pretty good opening hand with uxray call start (I know another call start wth) and a cyrus and dce in hand. He starts sableye and has a horrible hand, so he impersonates judge >.< . I drew a call back, but nothing else really so I call for dragonite and garchomp to get ready for the prize exchange. He plays a collector for Dragonite, Garchomp, and I think another Garchomp. He attaches to Dragonite as expected, and impersonates a cyrus to get set up. I draw a poketurn or something useless, and proceed to call for Roserade and Smeargle. I think he didn’t have the unown q to retreat so he impersonated a initiative and gets 1 heads, taking away the DCE I was saving. I drew a energy, so i retreated into roserade and started locking. I had heard that he plays a warp energy, but i figured it couldn’t be more than 1 so he couldn’t access it until I was up on prizes and he could use twins. I was very correct with this, and I took the first 2 prizes but his set up was just too much for me as I never hit a cyrus until he was up by 1 or 2 prizes and had a huge field advantage over me. I scoop to maximize my time after he sprays my bright look in an attempt to lock up his benched sableye I see no possible way to stop him from winning 2 turns later. Yay, I finally started with not 1, but 2 cyrus!! along with 2 DCE as well. I’m really foggy on what exactly happened here, but he ended up getting sableye out to get 2 initiative heads and completely ruin my hand. I also remember him getting a nosebleed on like turn 3 lol so we had to stop the game for that, but I didn’t care really. Once again, I don’t draw a supporter for a while and he just manages to set up better than I do. Roserade does give me some hope, but I end up falling too far behind on the exchange to come back and he takes the last prize on my 3rd garchomp C. Thats how it goes I guess, his deck did exactly what it was made to do. Decks moving on to the top 8 included the Magnezone Regirock, a Luxchomp that beat Carver, my brother’s Loxchomp that beat out a Gyarados, a Vilegar, a Luxchomp with Blaziken, myself, and, of all things, an Uxie Donk deck with Rapidash 4 in it? Chris Wood, a local Wisconsin player, somehow managed to beat Pooka in top 16 with this disgusting concoction. I was in the bathroom right after my top cut matched ended so I have no idea how things happen, but from what I heard it was pretty much Chris donked game 1, Pooka won a drawn out Deafen Lock game 2, and Chris took game 3 by going way up in prizes before time was called game 3. PokeGymMy cousin Zach played him in swiss, and I guess the idea behind the Rapidash is that it hits the dialga for enough damage to force them out of the deafen lock for one turn. . . I think? It’s definitely not the most sound strategy of all time, but I guess it worked. Unfortunately, while the usual SP mirror CAN be exciting, games where I flat out get lucky on Initiative don’t tell much of a story. The Sableye dynamic of Loxchomp is a strong one, giving you the opportunity to steal games early on. One thing I did learn from this game though was that Twins + Dragonite (as suggested by Chris Fulop) is an amazing anti-SP play. I’m moving on to top 8, and extend my streak to 8-0! This Missouri player was friends with the one that I played round 6, so I’m expecting almost identical lists. One thing that I learned from playing the first kid was that neither player played a Garchomp C counter that I can think of, and they both played Roserade GL. I was pretty confident in stealing the mirror once again through Sableye shenanigans, and I guessed correctly. I open Sableye (I think I opened sableye at least 70% of my games—not the expected rate, but definitely a helpful factor in my good performance on the day), and he opens not the greatest. I’m able to Initiative and once again flip double heads to dump his two Supporters down and leaving him with almost nothing to work with. About 2-3 turns in he gets a Bebe for an Uxie and attempts to setup for 7. I Power Spray, and start wrecking with Dragonite. The next turn he topdecks Azelf and finds an Uxie in his prizes, but can’t take it because he realizes he has no cards in hand to swap out for it. He scoops to preserve time and we’re on to game 2! PokeGymThis game works like my other 2 games where Roserade and Sableye interacted. I use the turns that I’m Poison Binded to set up and prepare with Twins, allow myself to fall behind by 2 prizes and then go nuts with Doubles and a full field of Colorless SP Pokémon to claim the game. He actually throws a lot of obstacles my way by grabbing a prize or two with Luxray GL X, and while I feel like I’m in the lead the entire game, he manages to take consecutive prizes for 3 turns straight to bring it to 1-1. While I didn’t see any way for him to keep up with my exchange in the long term, he definitely squeezed every prize out that he could get before his deck ran out of steam. Once again I 2-0 a Luxchomp in top cut, and the dream is still alive. 9-0, moving to top 4! I map out my potential opponents after my match is over, and find that I’ll either be paired against my brother, a Vilegar, or Emmanuel Divens with Magnezone/Regirock. It turns out that Pooka wasn’t the only player I needed revenge against, so Emmanel (Manny) it was! Manny beat me in top 128 of Nationals by destroying my Sablock with Kingdra/Machamp. It was a sad way to go, and I’ve been hoping for some form of rematch ever since. Here was my chance! The only problem? I have very limited testing against any kind of Magnezone whatsoever. 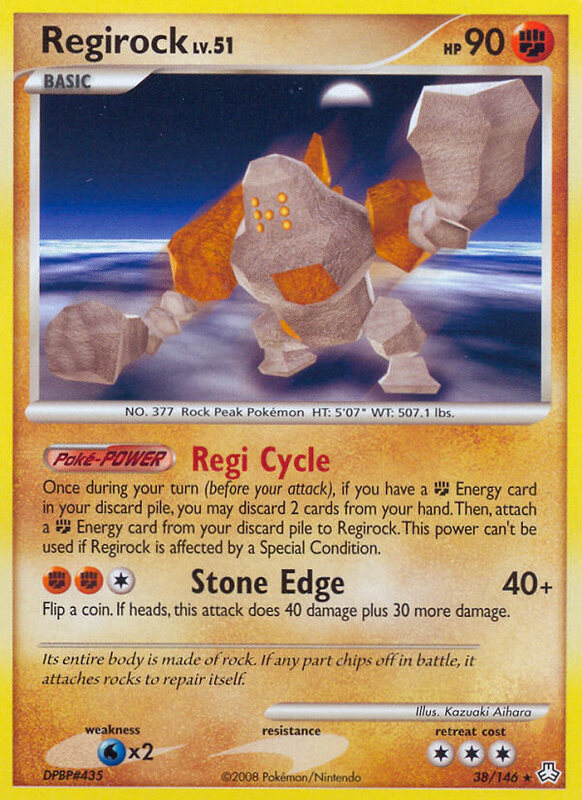 The only Magnezone I really got to play good games with was Mikey’s, and we only got 1, maybe 2 games in with the Regirock variant. 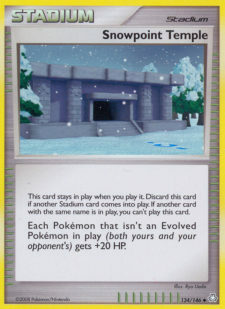 I didn’t know that Manny ran Sunnyshore Stadium at the time, but before the match began I was really worried how I would pull of knockouts without Toxicroak G Promo. Once again, with no prior knowledge, I jumped into my games hoping that my hot streak would take me through things. This game was a total break for me. I start Sableye to his lone metal Magnemite, and I sigh looking at my Basic Dark, wishing strongly that it was a Special so that I could Overconfident and have some room for error in game 2 to take an easy game 3. I’ve come to the conclusion that sometimes everything just goes your way—I power topdeck the Special Dark, drop it, and Overconfident for the game. Dumb, but at least I can say it’s worth it to have those Special Darks in there still! I start this game with Garchomp C and a Collector to his double Magnemite/Spiritomb start. He goes first to attach, retreat to Spirtomb, and Darkness Graces, and I debate what the right move to make is. I decide to make a fairly unorthodox move—I grab unown Q, Sableye, and Luxray and decide to Quick Garchomp, retreat it for Sableye, and attach Darkness energy to Overconfident for my first prize. He ends up dropping his hand to 0 with Magnezone Prime coming into play, and I Power Spray his Magnetic Draw Power. He decides to lost zone 2 energies to KO my Sableye, and I promote the Q’d Garchomp C, only to retreat to another Sableye to set up. I decide 2 things in particular: 1) Honchkrow SV is probably my only way to KO a Belted Magnezone in the future and 2) I need to keep spraying that Magnetic Draw to keep him out of the game as much as possible. I work out both strategies by playing a Supporter from my hand and one from Sableye, and I even get a little ambitious and decide to grab a Twins at one point when I realize I’ve already depleted my Cyrus chain. I keep the Power Sprays up for a few turns to prevent him from setting up the next turn. 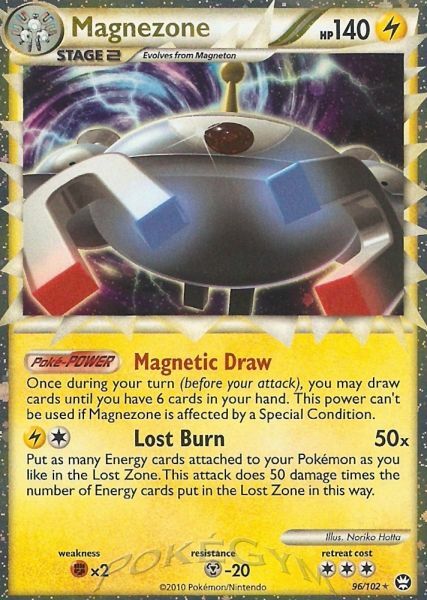 However, by the third turn of his Magnezone Prime being around and my third and final Spray being used, he has the resources to get both a second, third, AND fourth Magnezone out all in the same turn due to a stream of Magnetic Draws. He cycles energy back and forth by dumping with Engineer’s Adjustments, dumping and cycling with Regirock, and by using the Lightning Magnezone to grab a Lightning energy dumped by Regirock. He Belts his Magnezone and gets rid of one energy to rid me of my Sableye. The gears start clicking in my head as I promote my idiodic Q’d Garchomp once again. I realize that while he has a lot of energy on the field now that he can’t just keep burning through energy forever. In fact, if it wasn’t for Expert Belt, it’d be taking him three energy to get rid of my SP level X’s! Thoughts came back to when Pooka’s Expert Belt proved to be too much of a threat to keep around, and I know what I want to do. I already had the Murkrow with one energy on it in anticipation of a giant Honchkrow SV Riot if he ever got enough advantage where Twins could be used, so I didn’t have to go out of my way to get him. While setting up my Garchomp CX, I Switcheroo his Expert Belt to a benched Spiritomb, and things could not be more perfect with this play. Not only can he no longer comfortably knock out my Garchomp CX when I Dragon Rush for 2 prizes, but he can’t even comfortably knock out Murkrow! For some amazing reason, Murkrow has only a +10 weakness to Lightning, so Manny decides that he’d rather preserve energy for bigger and better Pokémon, and passes on his turn. This allows me to comfortably Dragon Rush for 2 more prizes, leaving me just 3 to go, AND still having the Luxray with Luxray X in hand for at least one more cheap prize. Pokemon ParadijsHe ends up lost zoning the 3 energy to get rid of my Garchomp CX, and I promote my Luxray GL. I level up to Bright Look a Regirock, hoping that he has no possible way to attach both Warp Energy to Regirock AND provide a needed Lightning energy to his Magnezone Prime in the same turn. I hit Regirock for 60 with Flash Impact, and he attaches to his benched Zone Prime and passes. I decide to Bite for the KO on Regirock (who for some reason has no electric resistance), and now I’m down to 2 prizes with him still needing 4. On his turn, he cycles through a ton of draw, but can only get a second energy into play. He decides to Belt his Magnezone and use Lost Burn for the KO on my Luxray, fearing that if he didn’t start taking prizes he’d simply lose on time. On my turn, I use an Aaron’s Collection to revive both a Garchomp CX AND Luxray GLX—leveling up a Garchomp C from the bench, and then retreating to a Luxray GL to Bright Look another Regirock and Flash Impact it once again. He has the Warp this time, but realizes that in attaching it he has no Lightning to fuel his attack once again. He’s forced to pass, and I think I comfortably have the game from here. I bring Murkrow up once again and Switcheroo the second Expert Belt to the Regirock with 60 damage on it, and I attach a Double to Garchomp CX to make it Dragon Rush ready. If he has no Seeker in hand/deck, then I can take the 2 prizes on Regirock with a Dragon Rush immediately the next turn for the game. Manny thinks about his options while drawing through almost his entire deck, cycling a lot of energy. I start getting nervous, but instead, he just hits the Murkrow for something like 200 damage, and then concedes knowing I have the game. Once again, Murkrow helps me secure my revenge, and my win streak hits the double digits at 10-0! While a lot of my plays were unorthodox, and Manny could have misplayed, he’s a very good player that consistently makes the top 40 list for Masters each year, and he was a great opponent. I learned that Magnezone is a definite threat—even for SP—but cutting off their Expert Belt is a strategy that definitely made things feel much more even for me by the end of the day. Right beside me, my brother wins his game against Vilegar 2-0, and it’s looking like another Wittenkeller top 2. Ummmm what the heck? How did he fit an extra card than me? 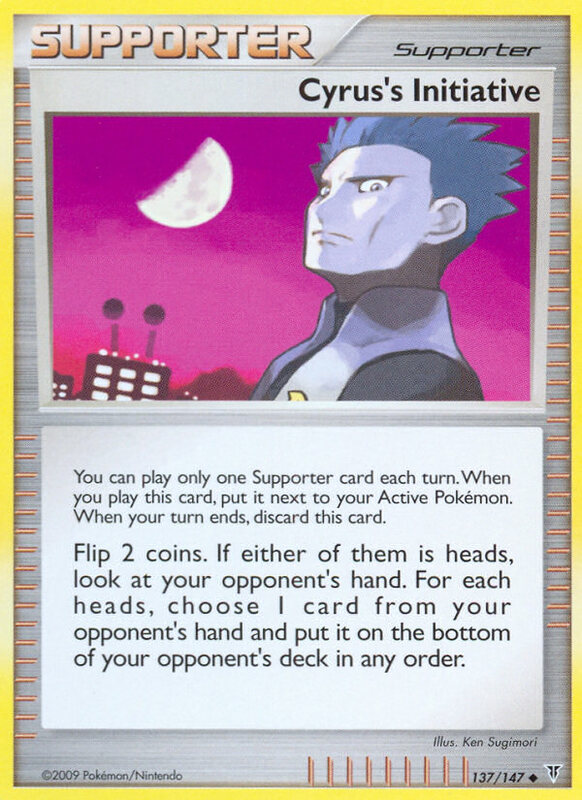 Maybe he did run the 3 Poké Turn, I just can’t think of the last card otherwise. Anyways, I’ve been running extremely hot all day, and haven’t even lost a game in a top cut match yet. I’m extremely proud of my performance, and I’m actually kind of upset about playing him in the finals because:1) Sableye mirror is one of the stupidest matchups you can ever play and 2) I beat him in the finals of my last City Championship through some stupid games, and how it’s HIS turn for revenge. Ready for some exciting games? I have a god hand. He Judges. 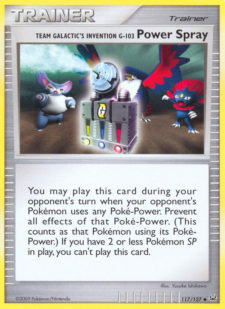 I draw 3 basic SP Pokémon, Poké Turn, and topdeck Power Spray. He sets up EVERYTHING and after waiting 2 turns I know it’s time to scoop. I sift through my future topdecks and don’t see a supporter until turn 8, so I know there’s no way I’ll win this one. Pokemon ParadijsAfter thoroughly shuffling my deck to prevent whatever happened last game, I’m good to go. I start with Garchomp + the most beautiful hand I’ve ever seen, and he starts lone Sableye to Judge me once again. My gorgeous hand is ruined once again, but off my 4 cards I see the two cards I need to see: Pokémon Collector + Special Dark. I use the Collector to grab Unown Q, Crobat G, and Sableye, and after retreating with Q, one Flash Bite and Overconfident gives me the donk and we’re on to game 3. Epic. This time I’m the one who starts Sableye, and I literally do have one of the worst hands of all time. All I remember is three Power Spray, a couple of energy, and Aaron’s Collection. I decide that the best way to go about things here is Judging for the 3rd game straight. Who opens better? Well—I do get a Cyrus, but he gets Collector, and after dumping his full hand and using Set Up with Uxie I feel like he got the better Judge. I use a Cyrus from my hand to set up a little bit and realize my Twins is prized—rats! It’s been serving me very well against SP games where I set up slightly slower, and I start worrying about how quickly he’ll be able to set up after doing that huge Uxie. I decide to Initiative to see what’s up. His hand consists of two Doubles, Aaron’s, a few energy and tools, and Premier Ball. I drop the Premier Ball, and see some hope if he has no way to get the Garchomp CX out by the end of his turn. He makes a comment much like the the one I made in top 4 at Illinois, where he says something like “I’m going to topdeck my Cyrus right now”. As soon as the judge starts cracking up, I know that it’s a bad sign. He does in fact get the Cyrus, and promptly sets up and destroys everything I have before I can get enough to come back. I take 2 desperation prizes with Dragonite FB, but he’s able to Bright Look around me for the final prize on a benched Sableye. The dream is dead, and my undefeated streak finally comes to an end. While I’d love to walk away with the $300 at least once, and the round 1 bye at States, I had a fantastic run and I’m really proud of my two weekends. Going a combined 18-4 is nothing to laugh at, and it was enough to push me within the top 10 spots of North America (I think I’ve been bumped down to 11th/12th since, but I’m still very happy with this). 1854 is a great place to be right now, meaning I only need a handful more wins in the future to jump high enough for my invite. If you do decide to/already have read my past article, you’ll know I didn’t have the best record at States last year. I finally feel like my hard work has paid off, and I have a deck that I really feel fits my playstyle and still has the benefits of Luxchomp—the deck I feel probably is the best deck in the format. If you take out the 4 Sableye, the 2 Initiative, and the 1-2 Judge, that’s a good 8 cards that you could play in a Luxchomp that could probably serve you better than the disruption combo. 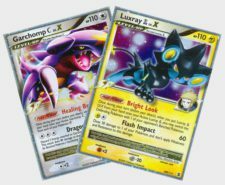 However, with enough experience, Sableye can become a huge asset, and I highly recommend trying your Sablock with Luxray if you’ve been playing the deck for a while. Adding the Luxray and Lucario gives you the edge that you need against Machamp and Gyarados to not fear them, and while I can’t guarantee the Switcheroo can win you all of your Magnezone games, the deck definitely gives you the room to remain victorious against it. It’s a challenge to learn the deck well, and Luxray only makes the deck more complicated, but I’m very happy with its possibilities, and I’ll likely play it at Regionals providing my testing with other decks doesn’t go too well. 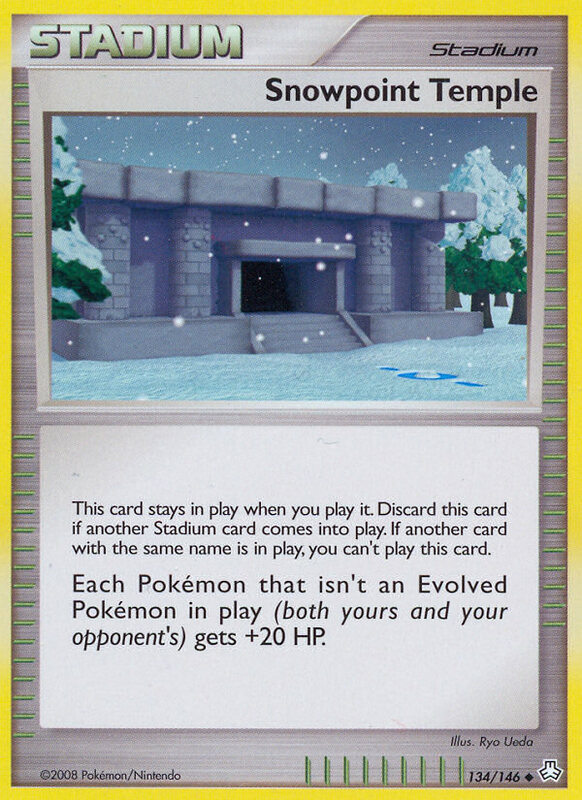 My advice for you guys coming into Regionals is playtest as often as you can and don’t let any rust build—even though the formats are the “same”. 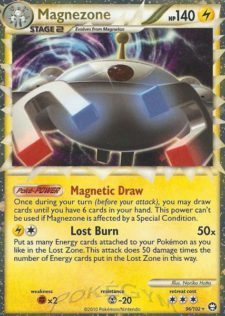 What won at States will likely be a factor in what will show up at Regionals, so there’s plenty of room for big shifts to happen, such as Magnezone becoming a much bigger deck in the future. Test against some of the matchups that you aren’t completely familiar with, and see how you stand against the full field of popular decks around you. Now is also the time to test that rogue concept that you really liked again. Last year, I was so intrigued by Silvestro and Curry’s Sablock that I pretty much solely tested it coming into Regionals last year. I had a very vigorous testing regime, and it ended up paying off for me big time—I took it to my Regional win, and was able to go to Nationals for free, along with a 2 round bye and $1,500 on top of that. While there aren’t too many chances to win a Regional, the prizes are much bigger than those for States, and I highly recommend testing as hard as you can for a shot at the win. I’m going to keep refining my Loxchomp, along with picking up Palkia/Lucario and trying to perfect that list. I hope you guys all had a great States, and best of luck at Regionals! Even if you didn’t do well this year, just remember—I went 7-7 at my two States last year, and improved that record to 18-4 this year. The same could very well happen to you!